With lots of room for artists new and old, as well as all kinds of interactive special installations and features, join Market Collective for two weekends of food trucks, DJs, live music, workshops, and shopping. This seasonal highlight is both a holiday market and a celebration of Market Collective’s 10th anniversary, so there are sure to be lots of surprises. Held in a 50,000-sq.-ft. space at the BMO Centre, it is the group’s largest and most highly anticipated market to date. This family-friendly event includes a custom built indoor skatepark, a huge inflatable obstacle course, a photobooth booth with Santa Claus, indoor food trucks, Village Beer, interactive stations and installations, and 150 artists each weekend waiting to meet you and show you their craft. On top of all of this, MC has programmed 19 bands, 12 DJs, one choir, three dance troops, two yoga sessions, and one special guest—all happening in an 11,000-sq.-ft. licensed all-ages area. It even includes a very special hometown set by Reuben and the Dark on the second weekend. MC10Year/Holiday takes place December 7 to 9 and 14 to 16, 2018 at the BMO Centre, Stampede Park (20 Roundup Way SW). Admission is $5 each weekend. 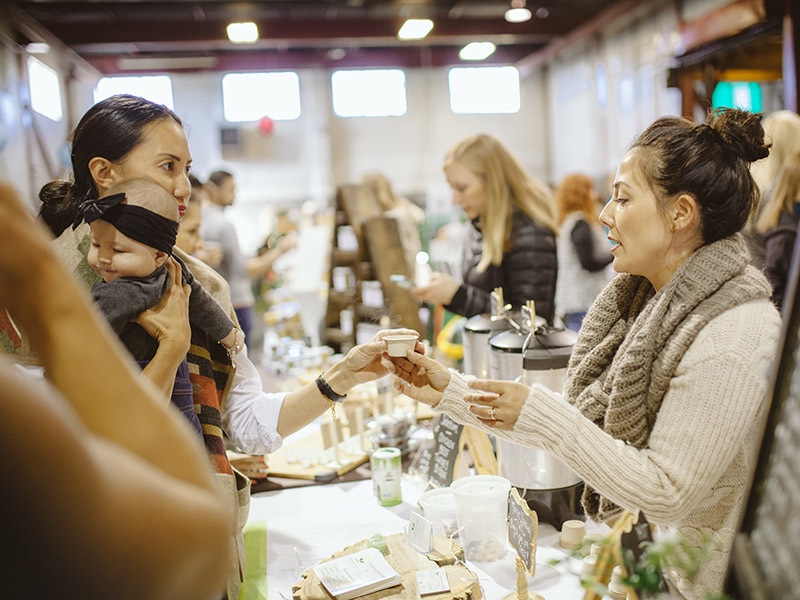 Enter before noon on Tuesday, December 4, 2018 for your chance to win a Market Collective gift pack including a double pass to MC, two $10 gift cards, and two $10 food vouchers ($50 value).